This is something, the Federal authorities in the US put up a fake cell tower. Just to get some information of a guy, somewhat overkill as with their warrant they could just have asked verizon for that same info.. The question i guess is was this right of them to do? According to the jury it was their right under the fourth ammendment and considered a standard search. 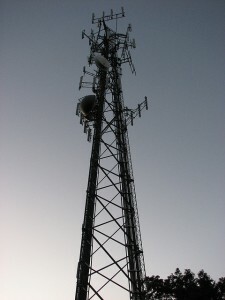 They used a device called a stingray which spoof’s a legitimate cellphone tower in order to trick nearby cellphones and other wireless communication devices into connecting to the tower, as they would to a real cellphone tower. When devices connect, stingrays can see and record their unique ID numbers and traffic data, as well as information that points to a device’s location. To prevent detection by suspects, the stingray sends the data to a real tower so that traffic continues to flow. wow…they wnated that guy bad!